A Quality solution for those Apex large windows. Reduces glare in summer and saves heat in the winter. Electrically operated for ease of operation. 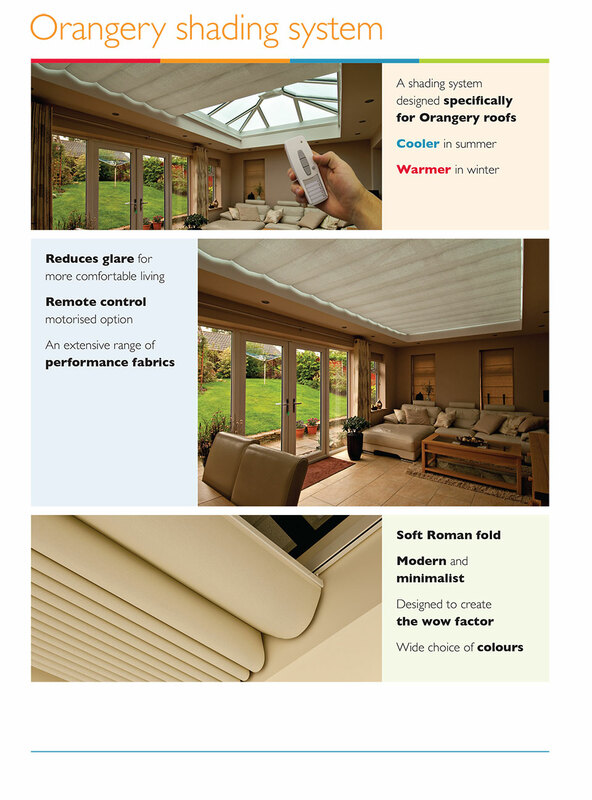 Stylish and Modern Orangery Roof Systems. Learn more about plantation shutters by Shutter Boutique by browsing our extensive range of internal plantation shutters. You’ll find something for all your needs, be it a special shape, distinctive colour, something for the bathroom, bedroom or lounge. Our professional team of expert plantation shutter fitters is on hand to answer all your questions. With more than 40 years experience between us, anticipate the best plantation shutter advice the industry can offer. Taking into consideration your lifestyle requirements and budget, we’ll recommend a shutter based on your needs. From louvre size, tilt rod placement, colour, frame style and shape, we’ll guide you towards the most suitable plantation shutter style for you. Call 0203 9110 067 for more information today!